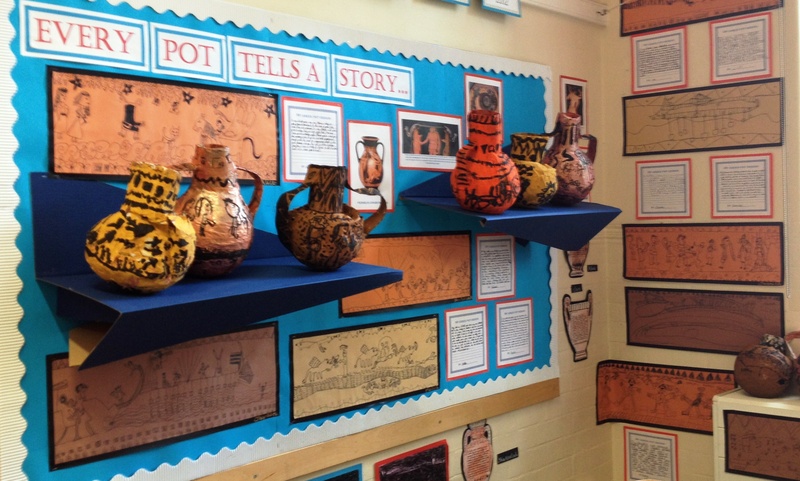 Ancient Greek school boys wrote on wooden boards covered with layers of wax and scratched words onto the boards using a sharp stylus pen. 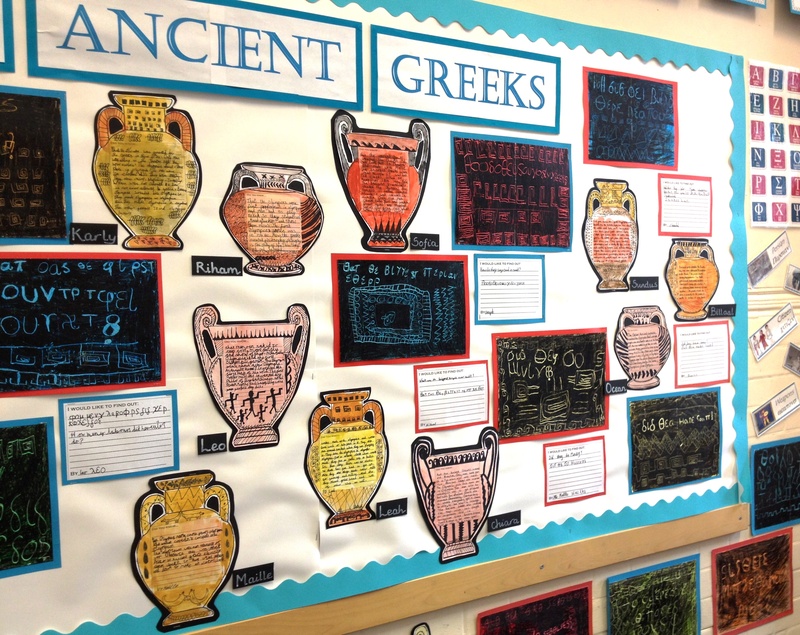 My Y3 class had a go at this technique, writing questions about the ancient Greeks using the Greek alphabet. They covered card with a brightly coloured wax crayon and then with a second layer of black. They used the end of paint brushes to scratch out each letter and then added Greek patterns for decoration. 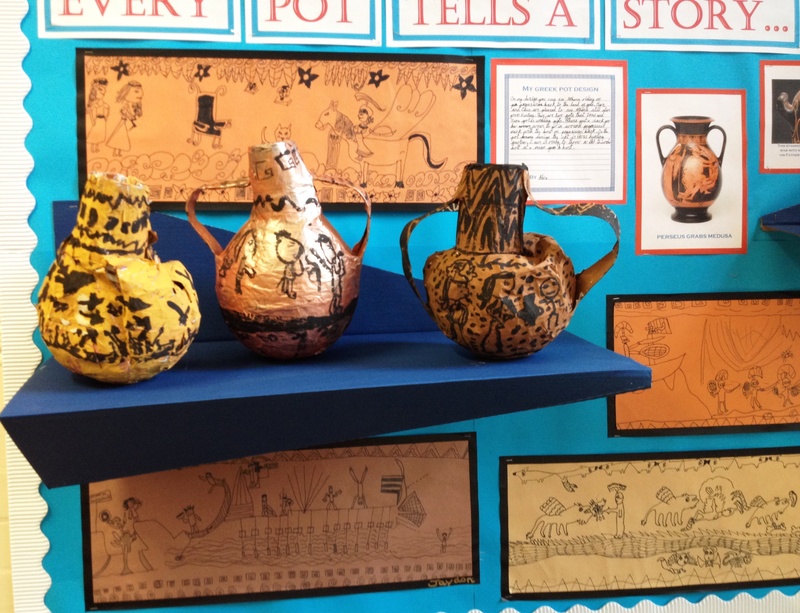 After visiting the British Museum and studying Greek vase designs, Year 3 created their own designs inspired by Greek myths, warfare and everyday life. 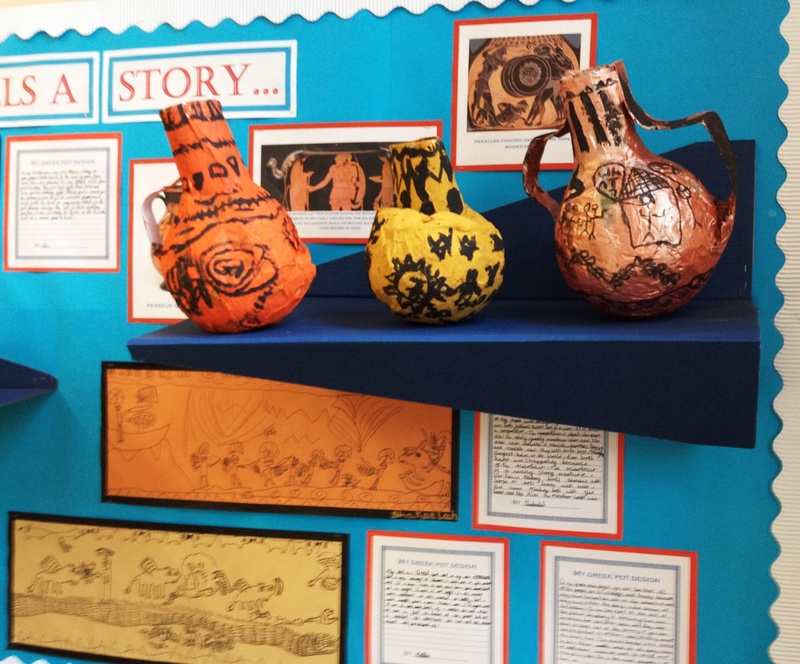 They drew their designs in black pen onto sugar paper and then created their own papier mache vases, using paint to reproduce their designs.